We are a 100% mobile operation which means we come to you. Your place not going to work? No worries! Check out these other options. We've compiled a list of locations that will let you use their facility for an additional fee. Think you might own a place that would make a great venue? Give us a call and maybe it can be the next Laser Tag Live battle ground. We can host at almost any home. You can't beat the convenience and you will be the talk of the neighborhood. We find that a total lot size of 5,000 sqft or bigger with access to the front and back yard on both sides of the house works best. In a pinch we will do our best to make your property work. When we schedule your event we use Google Earth to make sure that it will be a great location for laser tag. Due to the high energy game play we do not suggest playing inside homes. Take advantage of the local parks in your area for your event. Many parks departments have varying requirements for playing Laser Tag so we suggest giving the Parks and Rec office of the city you want to game in a call to find out more. If your worried about the weather we have you covered. We can set up our bunkers in any 3/4 size gym (4,200 sqft) or larger. If the building you’re looking at has multiple rooms and/or floors you may not even need to use our fully fortified bunker system ($50 upgrade). What sets our Laser Taggers apart from others is we can program the range as well as for indoor or outdoor use on the fly. Most buildings will require insurance which we can provide to you at no extra cost. If they are concerned about the flooring, all of our equipment is non ground damaging. This is our most rustic Hybrid Indoor/Outdoor location that will make Laser Tag Live one of the coolest things you have ever done. This location is a decommissioned dairy that has been renovated into a large multi-purpose complex. From a huge red barn to large grain silos with large farm equipment everywhere you will really feel like you are in your favorite FPS game. 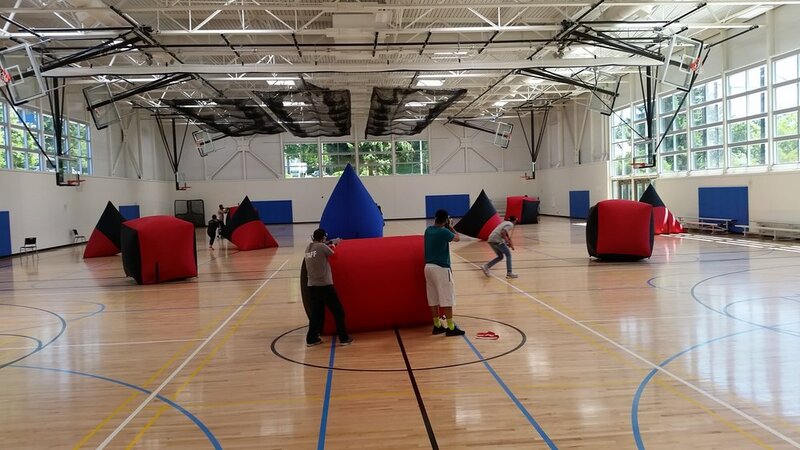 The TVPC is an active working church within the Mountlake Terrace community that has offered its space up for laser tagging in their off time. With an excellent indoor space with plenty of windows to view the action outside to the perfect grounds for some great laser tag there is something for everyone at this place not too far from Seattle.